This morning we slept in a little extra. 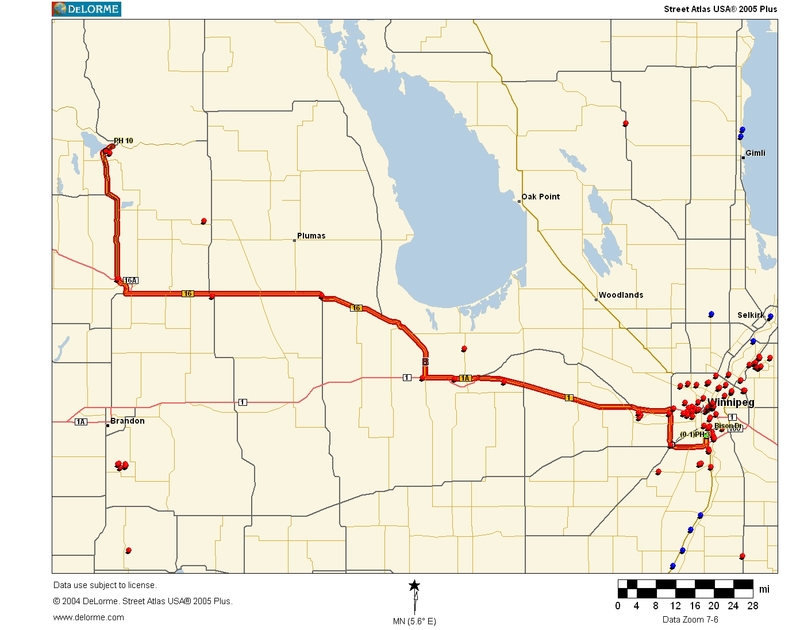 We made the drive to Riding Mountain National Park. 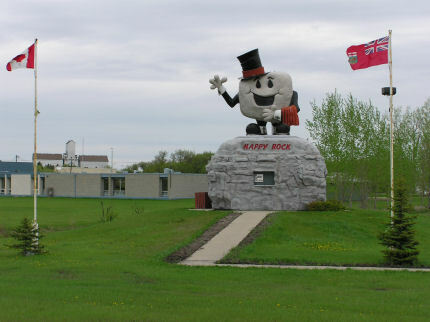 We stopped at the Happy Rock to retrieve a cache on the way. When we got to the park it was raining so we decided to spend the night at Elkhorn Resort and make the drive through the park tomorrow. About 6:00 p.m. we looked out and the sun was shining and the skies were blue so we went after the only cache in the area. The cache description talked about lots of wild animals including black bear. I didn't see any. The area was kind of a swamp because of the rain. I ended up wet up to my hips. The forest floor kept giving way and I was wet and muddy when I came out of the woods. I did find the cache and the forest was beautiful. The only animals I saw were a couple of squirrels chasing each other. They nearly ran over me. 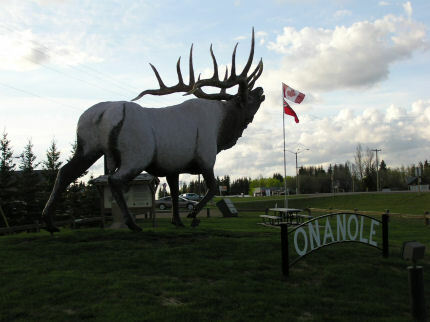 The food was too expensive at the resort so we went into Onanole, a nearby little town, to eat. 5337 Steps Today - 3.03 miles.